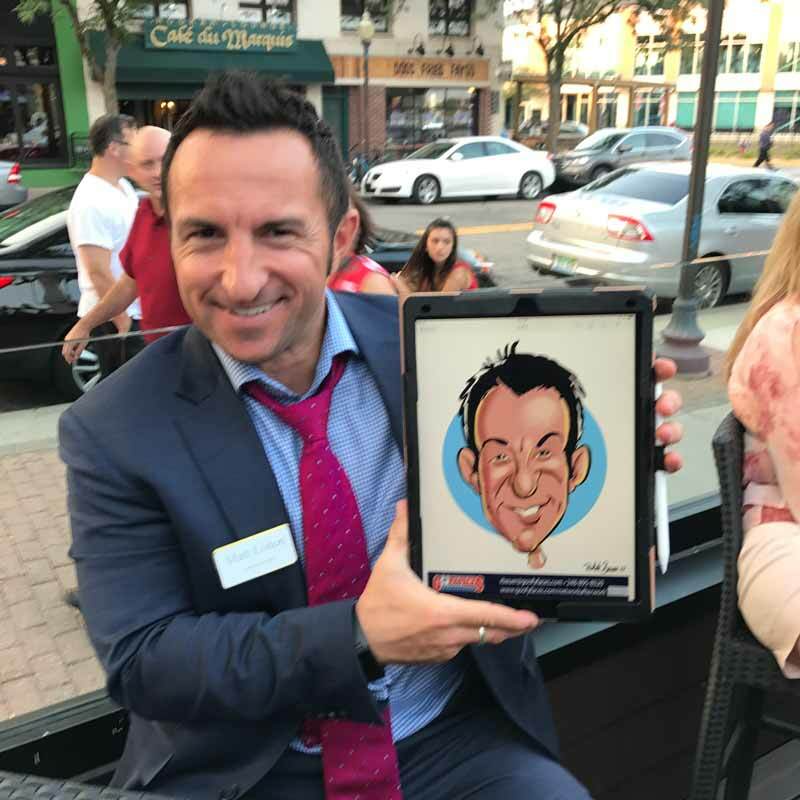 Whether your business is planning a staff party, company picnic, Holiday gathering or corporate promotion, Goofy Faces has artists available to entertain your staff, wow your clients and customers and make your corporate event a memorable one. We offer free consulting to help you plan the best way to leverage our creative artists to maximize your results! 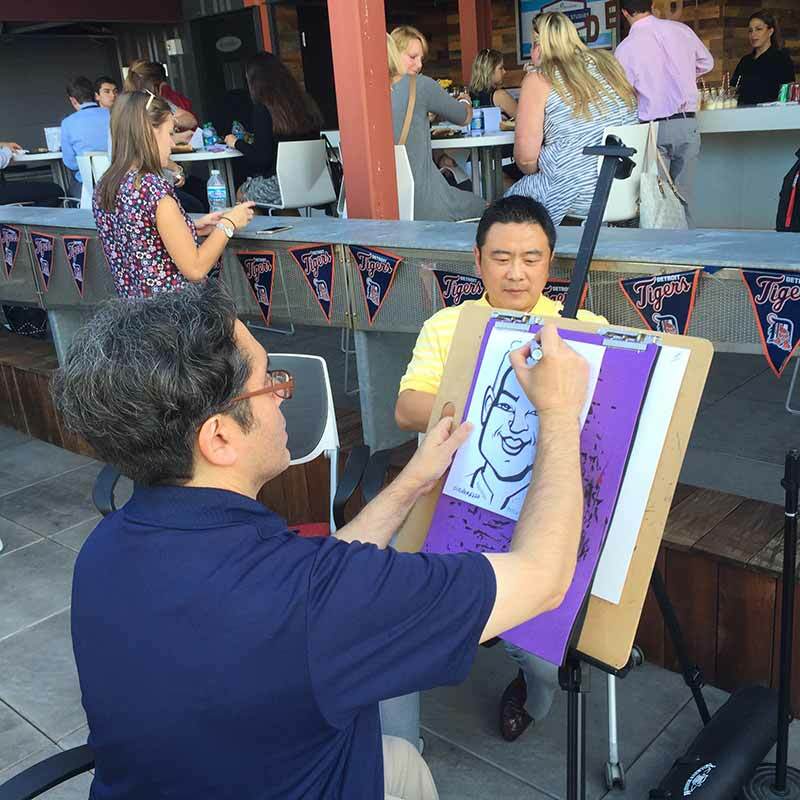 Caricature artists for corporate events are available nationwide – search for one near you! 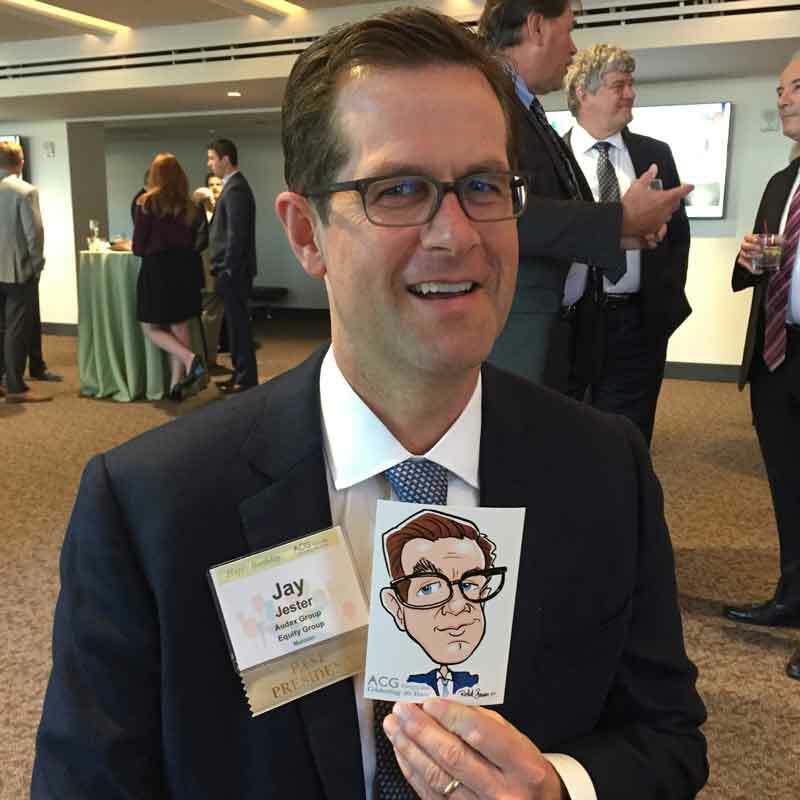 If you have a corporate event question call us at 1-886-866-6640. There are many options available for corporate events to entertain your guests. 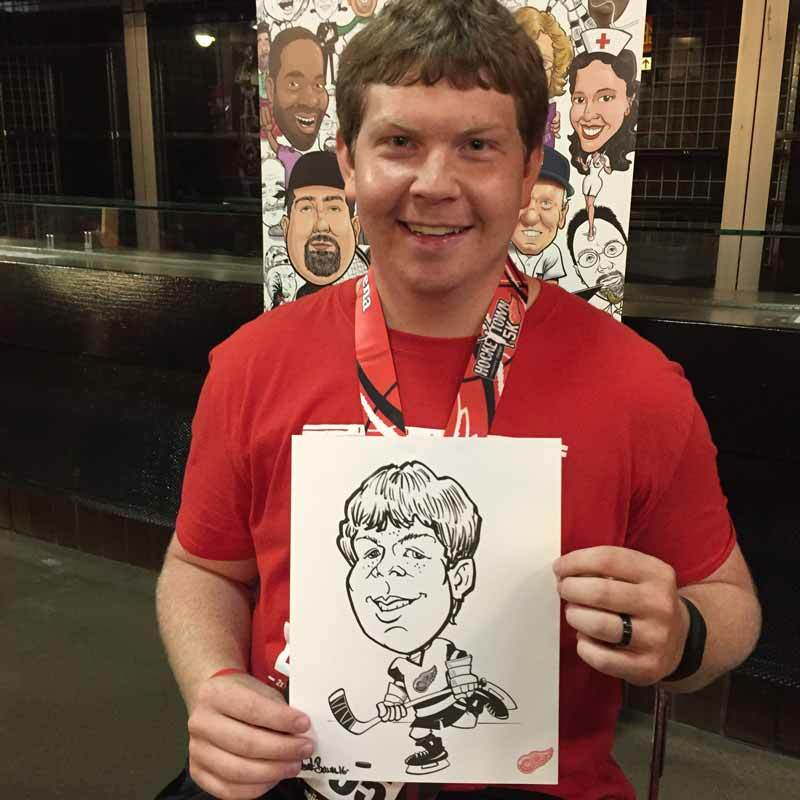 One of the growing favorites is to hire a caricature artist. Not only are caricatures a conversation piece, but caricatures are also an original artwork which people want to keep. 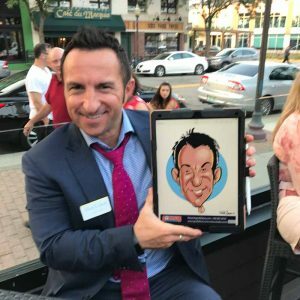 This means the memory of your company event, theme and logo may be hung in an office or home for years. When companies hire Goofy Faces caricaturist, they hire a team of professional artists and options. 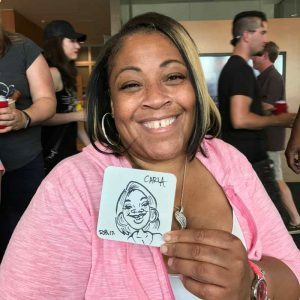 For example, it's common for companies to hire a team of traditional on-site artists to create caricatures over a few hours. Some businesses prefer to try new options such as artists creating a guest caricature likeness on coasters or digitally. 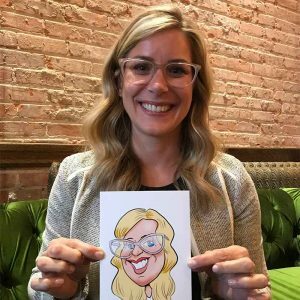 There is even an option to hire an artist remotely to create caricatures for your guesses in real time and delivered to an on-site printer. 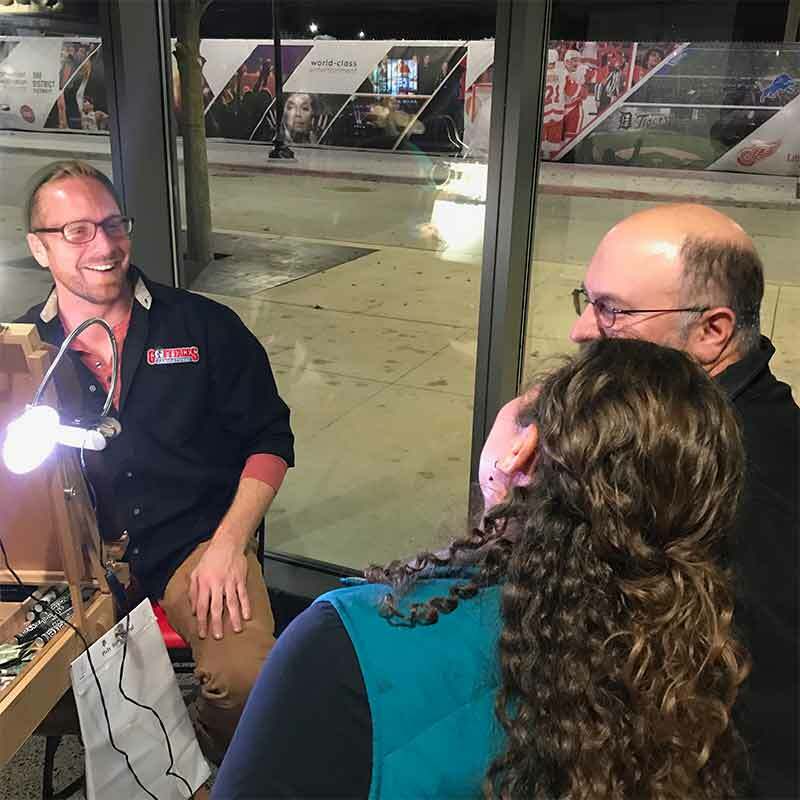 If you are considering stage entertainment consider our Artistic Encounters program. Each artist has their own style. 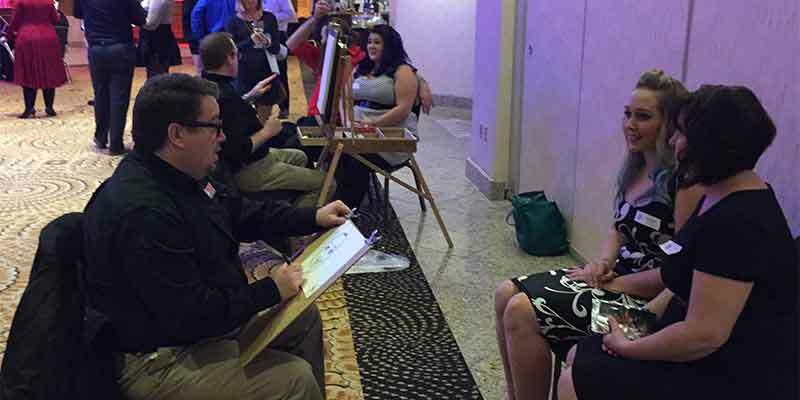 To create caricatures for larget corporate events, the artist need to have a plan. It's also important to have enough artists. 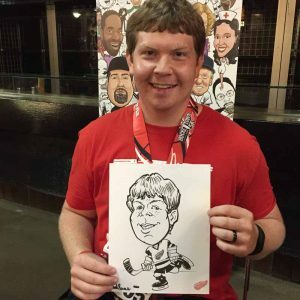 Check out our caricature artist calculator to figure an estimate. To get the job done right, the artists draw the face in a top to bottom order. Often the artist begins with the eyes. The artist observes the size, shape and distance. Next, the artist outlines the nose and note the relationship between the nose and the eyes. If your subject has a large nose they can make use of thick lines. It's common for the artist to take the opportunity to exaggerate this part of the body. 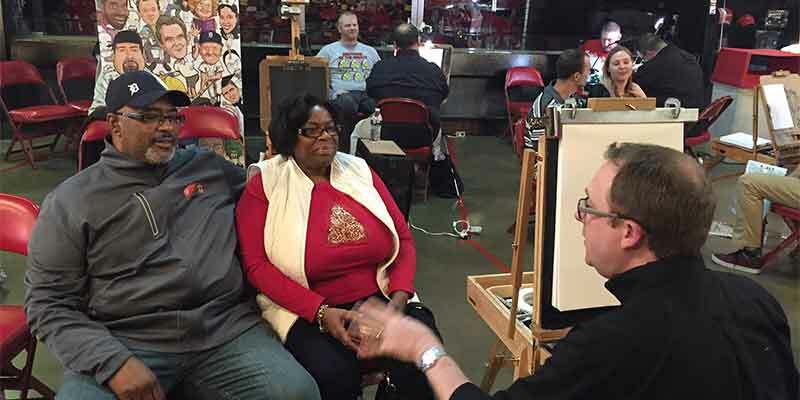 Next, an artist draws the chin, cheeks, and jaw in that particular order. The chin provides another opportunity to exaggerate. Drawing the chin first also automatically suggest how the jaw line ends. Last, they draw the ears and the hairline as well as finishing touches. 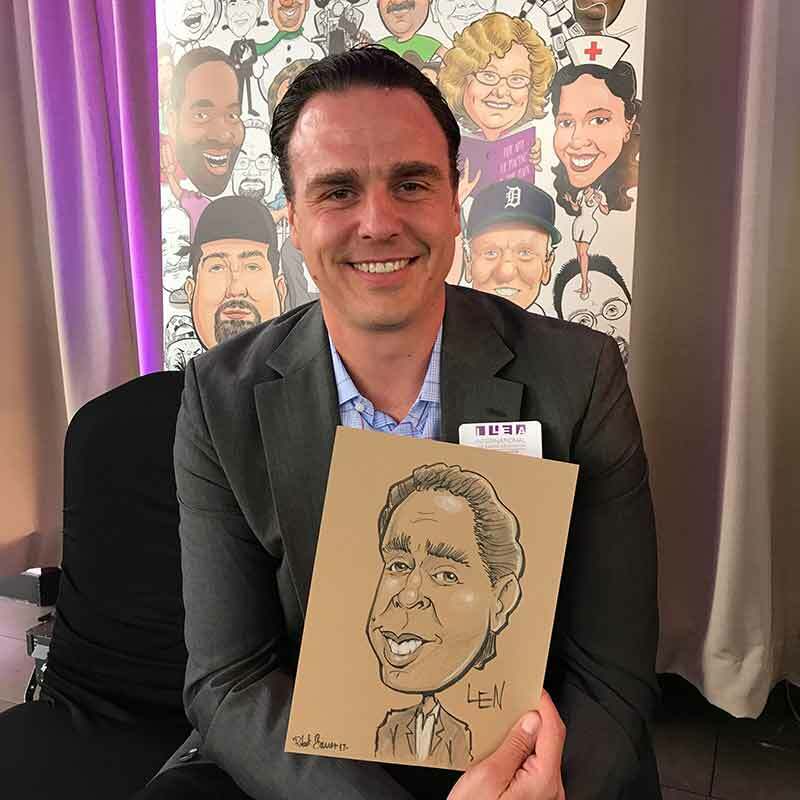 This and similar systems allow for our artists to draw one or two faces at a quick pace allowing for all of your guests to enjoy have a caricature created.